Police are seeking the public’s assistance this Valentine’s Day to help them set up a date with a wanted Burgess Hill man. 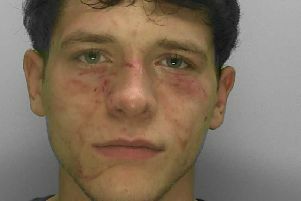 Joseph Smith, 22, from Burgess Hill, is wanted in connection with two counts of assault, two counts of public order and aggravated vehicle taking. A spokesman for Sussex Police said: “We’re looking for a date again this Valentine’s Day but we need some matchmaking help. If any one has information which may help police get a date with Smith, call 101.